The Highlands County State Attorney Brian Haas announced Friday that his office will seek the death penalty against the accused Sebring bank shooter, Zephen Xaver. 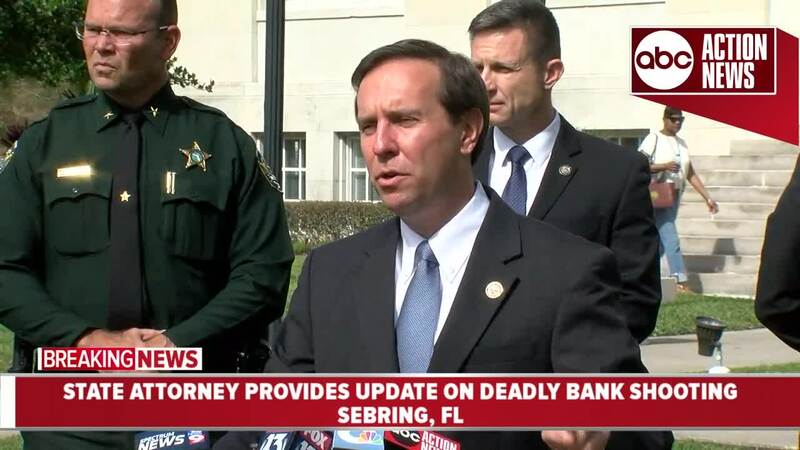 HIGHLANDS COUNTY, Fla. — The Highlands County State Attorney Brian Haas announced Friday that his office will seek the death penalty against the accused Sebring bank shooter, Zephen Xaver. A Highlands County grand jury officially indicted Xaver on five counts of premeditated first-degree murder in the shooting that took the lives of five women at a SunTrust bank on January 23, 2019. Xaver will be arraigned on February 25, 2019. Sebring police said 21-year-old Zephen Xaver entered the bank at 1901 U.S. Highway 27 South on Jan. 23 and gunned down everyone inside. His motive remains unknown, according to police. The fifth victim has not been identified. Xaver is charged with five counts of premeditated murder, and remains behind bars in the Highlands County Jail on no bond.